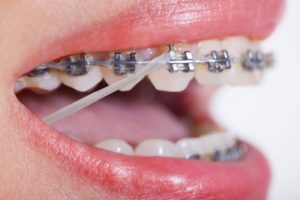 You may be familiar with braces, Invisalign treatment, or orthodontics in general, but there are some interesting facts about orthodontics that may surprise you. Orthodontists have been helping people straighten their teeth for hundreds of years before they even had the title. Keep reading to discover 7 amazing facts about orthodontics from a highly-trained orthodontist in Columbus. In Greek, “Ortho” means straight or correct and “Dont” means tooth. So, putting it together, the word means straight teeth. In 1900, Edward H. Angle was the first dentist to solely dedicate his practice to orthodontics—the alignment of teeth and jaws. He established what is now called the American Association of Orthodontics, where he was the first member! Crooked teeth have been around since the dawn of man. Archeologists have even found Egyptian mummies with metal bands wrapped around their teeth. A well-known Greek Physician also wrote of “irregularities” in teeth around 400 BCE. It is speculated he was talking about crooked teeth and misaligned jaws. In the early days of orthodontics, gold was the metal of choice because it is malleable. However, this also meant more adjusting to keep treatment effective because the metal didn’t stay completely firm. Teeth respond to consistent pressure, which can be a good and bad thing. For instance, prolonged thumb-sucking can generate damaging pressure that pushes teeth out of place. On the other hand, braces and aligners can apply pressure to gradually shift your teeth into alignment over time. You have cells called “osteoclasts,” which break down bone. You also have cells called “osteoblasts,” which rebuild bone. This back-and-forth process is called bone remodeling and a balanced diet helps support the strengthening of your bone. With the rise of DIY braces and other orthodontic services, you should know that orthodontics isn’t a product or commodity. The type of aligning appliance you choose is no more than a tool for an expert orthodontist to use. That’s why you should always see a professional if you want your teeth adjusted. Orthodontics have a long and interesting history. Are you considering straighter teeth? Now that you know more about the importance of seeing a professional, contact your orthodontist in Columbus to get started on a beautifully aligned smile. Dr. Amin Mason is a board-certified orthodontist with a passion for providing quality care. He takes pride in offering a wide-variety of orthodontic treatments to accommodate any type of smile. He currently practices at Columbus Orthodontic Center, and he can be contacted through his website or by phone at (614) 549-5835 for any questions.